Answer: Because he had low elf esteem. Question: What do you call people who are afraid of Santa Claus? Question: What do snowmen eat for breakfast? Question: What do you call Santa’s Helpers? 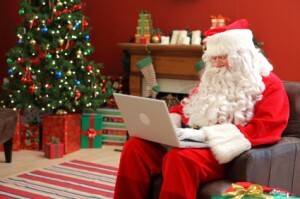 Question: Why is Christmas just like a day at the office ? Aanswer: You do all the work and the fat guy with the suit gets all the credit. I know that people say “It’s the thought that counts, not the gift”, but couldn’t people think a little bigger! Whether you were naughty or nice this year, we hope that you get everything you want! We wish you and your families a very Merry Christmas. Thank you for allowing us into your lives, now THAT is a very special gift!